The series (so far) focuses on houses that are mainly new builds, high end, rural, and Victorian. So while the owners are boosters for architecture, it is architecture of a particular sort. Like the media coverage of the awards, shows like Dream Build and Grand Designs help push an unfortunate stereotype that architects provide a service to the rich only. But as the title says, this is about dreaming. Aspirational TV is popular… and perhaps people just like dreaming, rather than looking at something that they can actually achieve. 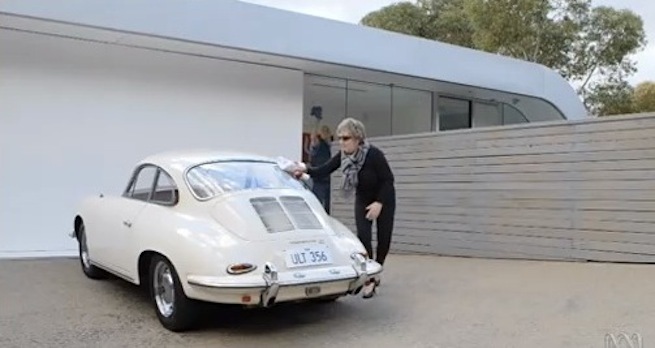 An owner runs a chamois over her Porsche while a cleaner rubs a rag over the windows of the house. Some dreamers might find their way to the ABC’s website, which encourages people to submit photos of their own dream builds. I suspect they may have been expecting people to upload photos of their own homes. Instead, the group has two posters – one an enthusiast scanning things from magazines, the other a West Australian home builder, who’s obviously spotted a marketing opportunity. Featured architects: Andrew Maynard, Simon Knott, Damian Campagnaro, Ken Charles.